Throwback to visiting Grandma's house, when doilies adorned every surface area. This design brings back the elegant, lace circles in cool, modern colors. It's the perfect combination of ole and new, with a scalloped center label tying the whole thing together. 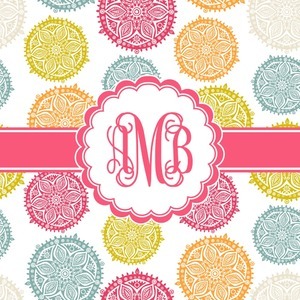 Add your monogram for that last, special touch.